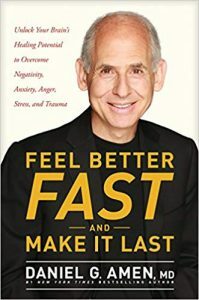 Dr. Daniel Amen is one of the world's leading authorities on the brain and how you can improve it to be happier, healthier and more effective. Having done over 80,000 brain scans, he's learned some remarkable techniques that you can apply right now to your life. If you're like me and want to prevent Alzheimer's and be more productive and joyful, you'll appreciate these tips. 1. Breathe deeply and slowly three times from your diaphram whenever you're feeling stressed. Your brain needs oxygen. 2. Meditate regularly at least 10 minutes a day. There are great apps for that. 3. Eat organic blueberries instead of sugar. They are one of the highest anti-oxidant fruits available. 4. Stand away from the gas nozzle when pumping gas so as not to breathe in toxic fumes. 5. Eat beans of some form every day. 6. 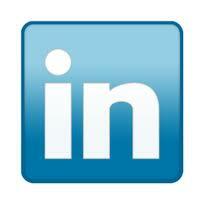 Get a minimum of 7 hours of restful sleep in a cool dark room free of electronic devices and blue light. 7. When hit with negativity, go for a walk in nature and think of something else. Nature heals. 8. Try to spend time in sunshine every morning. If you can walk outside in the sun, you're much more likely to sleep better that night. 9. Have two playlists for your car, work, and life. One gets you fired up and ready to go and one soothes you and calms you down. Use them whenever necessary. 10. Practice the hand-warming technique in your mind to relieve stress and migraine headaches. Close your eyes and imagine you are warming your hands in front of a fire, or holding a warm cup of hot chocolate or green tea. Breathe deeply and count to 20. You can actually raise the temperature of your hands doing this and it is great for your brain. Your brain is integral to everything you do. Take excellent care of it. I've been away from you for a while traveling and then working on my new project. I am now hosting a new TV Show called Ignite Success! for women about women. It will start airing on tv in Feb. but you can get a sneak peak here: https://vimeo.com/310880565 Unfortunately I was very sick for the first taping but my guests were great. Love your feedback.